Former Democratic Gov. 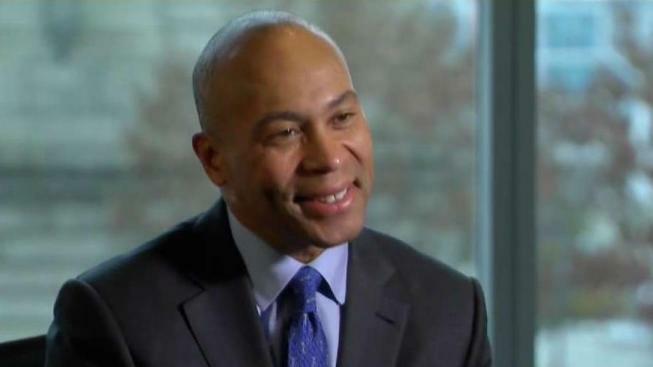 Deval Patrick of Massachusetts, citing the ``cruelty of our elections process'' and the effect it would have on his loved ones, announced Thursday that he will not run for president. "After a lot of conversation, reflection and prayer, I've decided that a 2020 campaign for president is not for me," Patrick, 62, said in a statement. He said he felt humbled by the encouragement he had received, but "knowing that the cruelty of our elections process would ultimately splash back on people whom Diane and I love, but who hadn’t signed up for the journey, was more than I could ask." Diane is Patrick's wife. He revealed Thursday that she was diagnosed with stage 1 uterine cancer. He said she will be fine and is doing well. Patrick had been on the road the past few months in support of Democratic congressional candidates. The two-term governor has been working as a managing director for Bain Capital since his governance ended in 2015. "The past few months on the road in support of congressional candidates — from Texas to Mississippi to New Jersey to Georgia to North and South Carolina to Florida to Illinois — have been affirming," he said in his statement. "People across America are coming off the sidelines and getting engaged, taking responsibility for their own civic and political future. That’s exciting and important. I hope we keep giving them positive reasons to do so." Patrick served two terms as governor, from 2007 to 2015 and before that was assistant attorney general for civil rights in the Clinton administration. "America feels more ready than usual for big answers to our big challenges," he said in his statement. "That’s an exciting moment that I hope we don’t miss. I hope to help in whatever way I can. It just won't be as a candidate for president."